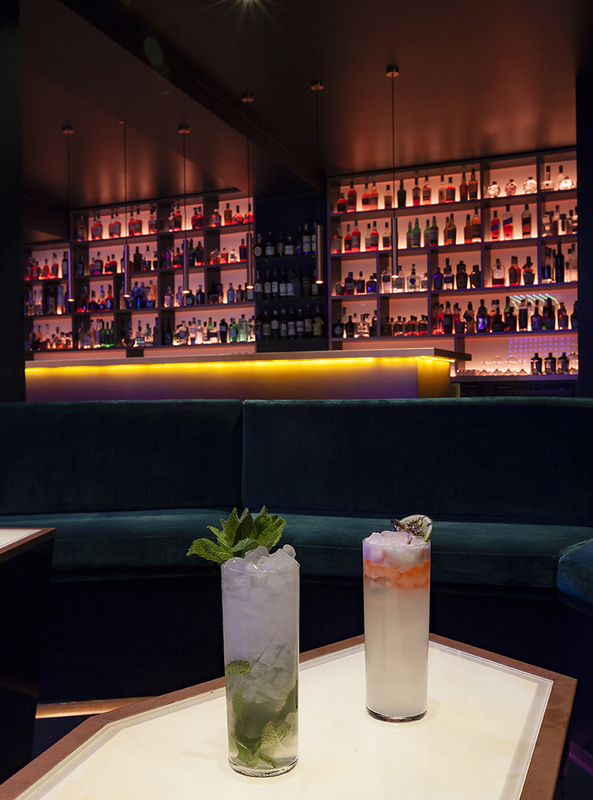 This project was developed by the specific request of the customer to create an exclusive cocktail bar for members only in Milan. 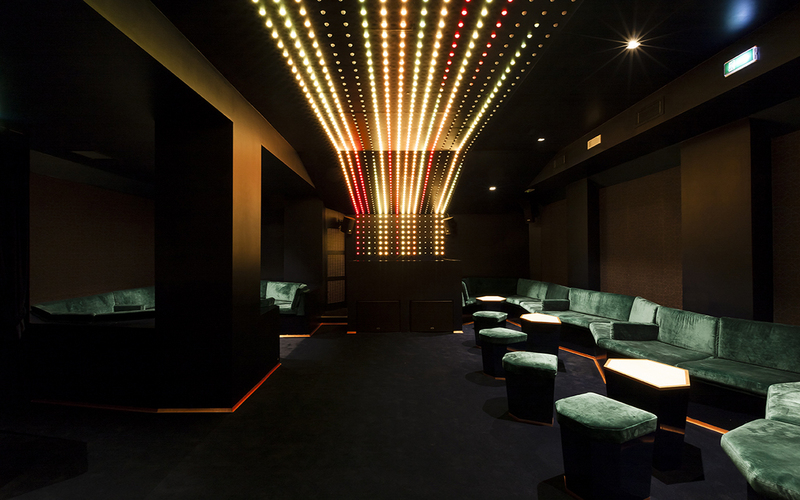 A club that was supposed to be inspired by the style of the old American speakeasy but at the same time contemporary in its architecture and design. 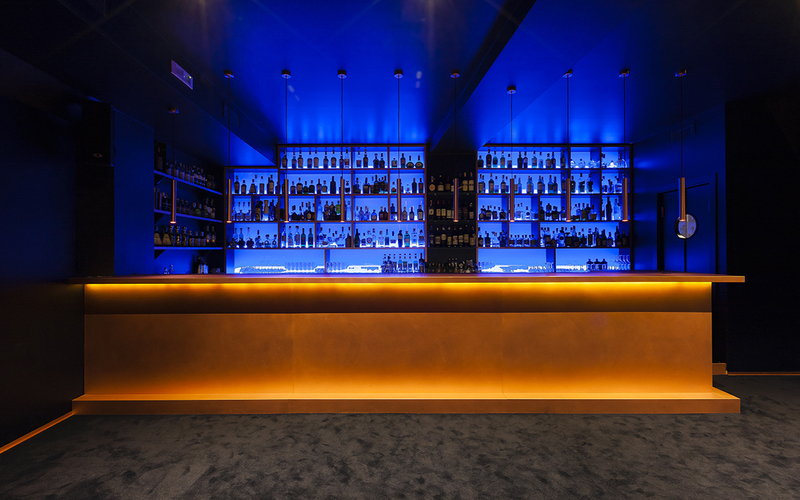 Starting from these inspirations, colors, materials, finishes, velvets, carpet, wallpaper, copper and stones were chosen which, mixed with a very soft lighting, had to be protagonists inside. 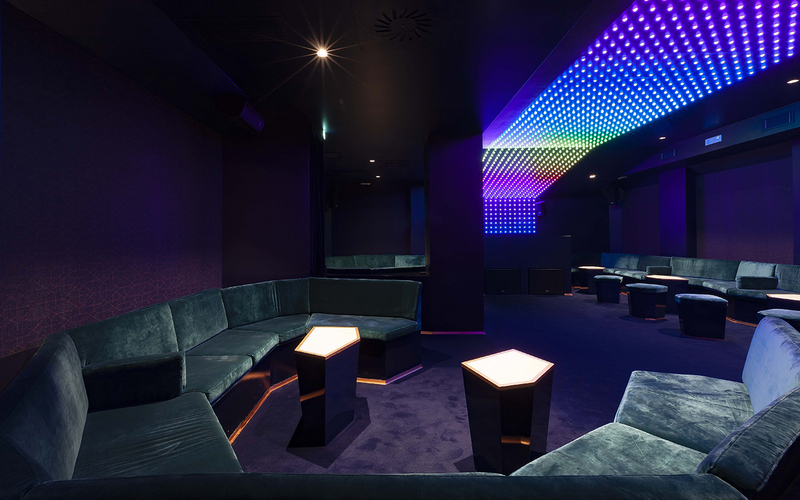 The club is very intimate in size and had some architectural constraints, for this reason all the furnishings starting from the bar and the bar display fully copper-covered, the sofas with the velvet and glossy lacquered wood poufs, the tables with the onyx top backlit, the resin and copper bathrooms have been specially designed and made to measure for this place. 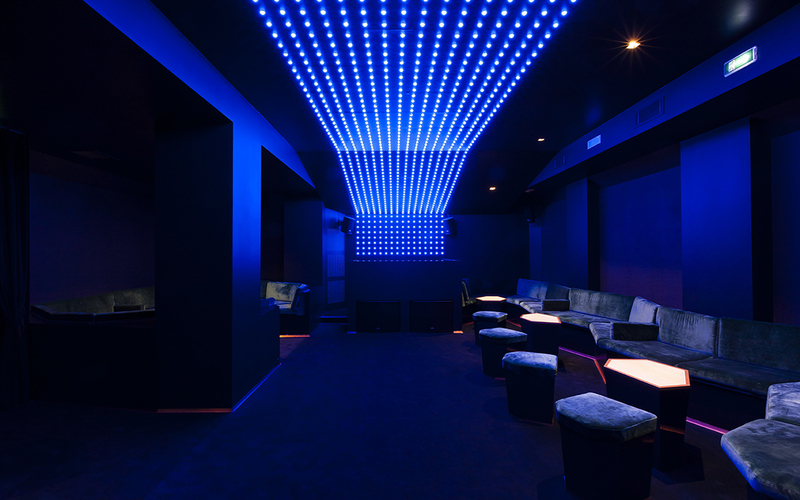 Another protagonist element in the club is the ledwall rgb made and composed of individual LEDs that recall the old bulb-shaped lighting bodies, each LED point can be controlled individually by a software and this gives the possibility to change the color, determine switch on-off, create words on it and lighting effects that can follow the rhythm of music.